Whether you are a weekend warrior, or an elite gamer that spends hours a day behind a computer, you understand that your equipment can make all the difference. And in a virtual life or death situation you can't have a cheapo faulty keyboard crap out on you just when you are going for the kill shot. Introducing the Eclipse II, the second edition of the award-winning keyboard from Saitek hailed by experts as the ultimate alphanumeric input device! The Eclipse II PC keyboard features variable color backlighting LED key illumination to actually illuminate through the keys for use in any light, from day to total darkness. 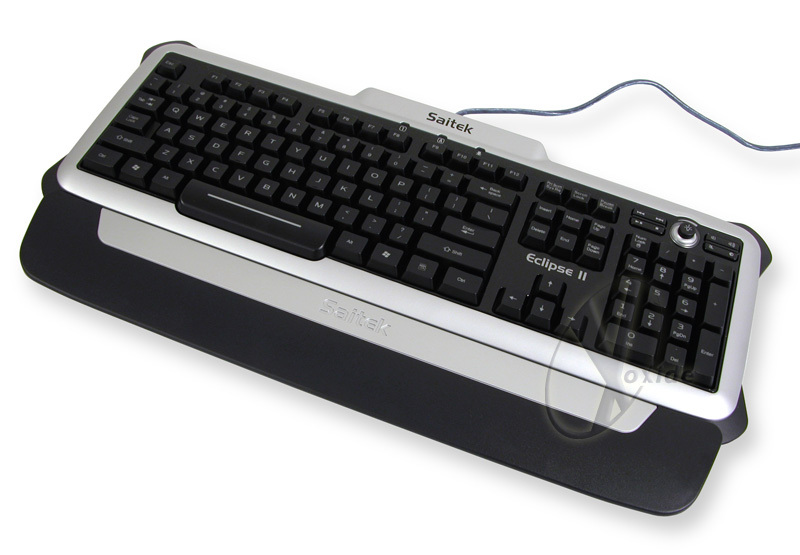 The Eclipse II 104-key keyboard features a Zero-Slope design and adjustable wrist rest for ergonomic comfort. It is a Plug’n’Play design with USB connector and is compatible with Windows XP/Vista/7. The Saitek Eclipse II’s silky smooth key stroke and solid feel delivers one of the most delectable typing experiences you can find. Designed to last, the Eclipse II has some weight to it…this is not your standard flimsy plastic keyboard you are used to!